For days now the media and regular Trump critics on Capitol Hill have berated the President for his rhetoric about North Korea. Specifically, they've said his words about "fire and fury" were particularly incendiary. 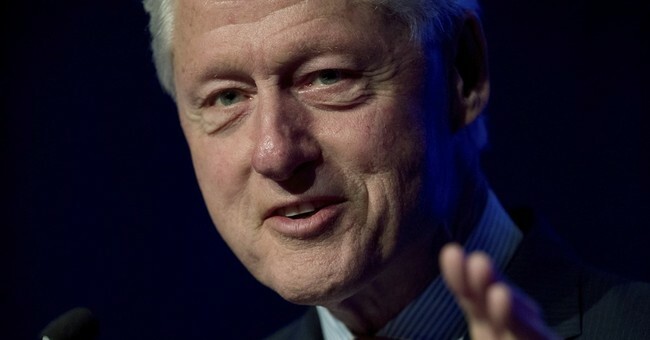 The North Korean Government accused President Clinton today of provoking it with threats of war after he warned that the United States would retaliate if North Korea developed nuclear arms. "It would mean the end of their country as they know it," he said. 'Rash Act' by U.S. The North Korean Government lashed back today through its Korean Central News Agency, monitored in Tokyo. "The United States must ponder over the fatal consequences that might arise from its rash act," the statement said. "If anyone dares to provoke us, we will immediately show him in practice what our bold decision is." Q: What do you say to critics who say that your rhetoric is actually raising the tension? A: Well, you know, my critics are only saying that because it's me. If somebody else uttered the exact same words that I uttered, they'd say what a great statement, what a wonderful statement.. But I will tell you, we have tens of millions of people in this country that are so happy with what I am saying, because they say finally we have a president that's sticking up for our nation and frankly, sticking up for our friends and our allies. And this man will not get away with what he is doing, believe me. And if he utters one threat, in the form of an overt threat, which by the way he has been uttering for years, and his family has been uttering for years, or if he does anything with respect to Guam, or any place else that's an American territory or an American ally, he will truly regret it and he will regret it fast.